This year has seen both positives and disappointments for President Bush. Jon Meacham’s biography, Destiny and Power: The American Odyssey of George Herbert Walker Bush, was well received. But Bush’s older son will not become President, although we are told Barbara is ok with that. And it was a pretty good year for Suzanne Johnston, then Wilson Principal and now President of Our Lady of Mercy School for Young Women. Suzanne got her name and picture in the paper! As I crisscross the district, I am always intrigued and surprised by the rich history I find, sometimes hidden, within our buildings. 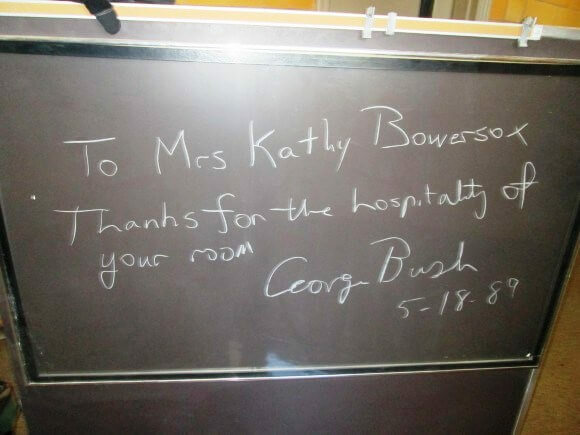 For example, who knew that a chalkboard signed on May 18th 1989 by President George H.W. Bush is kept in a storage room in the basement of Wilson? As the story goes, President Bush read an article in US News and World Reports about the successes of the Wilson Magnet High School. 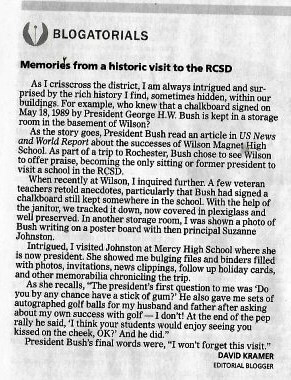 As part of a trip to Rochester, Bush chose to see Wilson to offer praise, becoming the only sitting or former President to visit a school in the RCSD. When recently at Wilson, I inquired further. A few veteran teachers retold anecdotes, particularly that Bush had signed a chalkboard still kept somewhere in the school. With the help of the janitor, we tracked it down, now covered in plexiglass and well preserved. 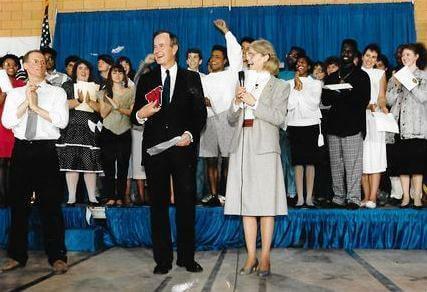 In another storage room, I was shown a photo of Bush writing on a poster board with then Principal Suzanne Johnston. What finds! 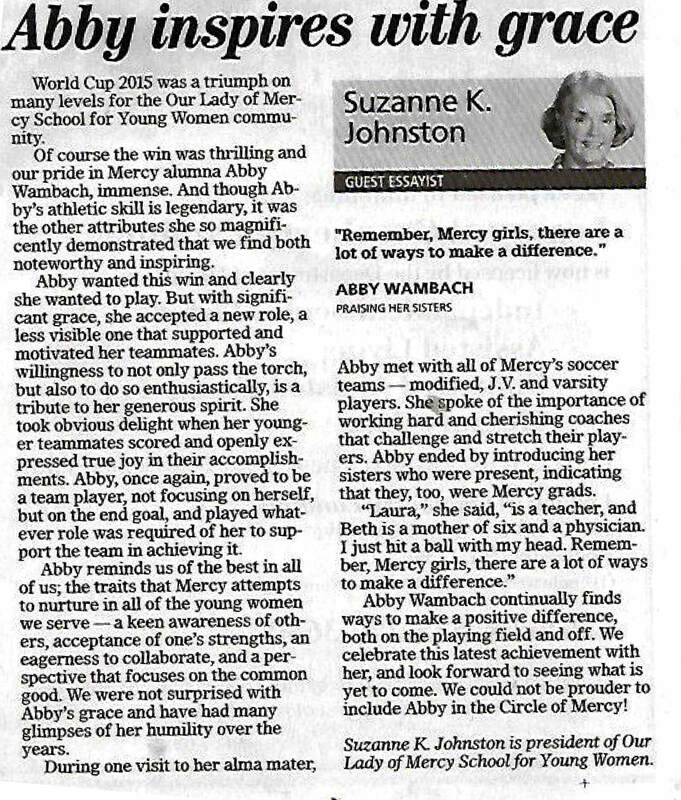 Intrigued, I visited Principal Johnston at Mercy High School where she is now President. She showed me bulging files and binders filled with photos, invitations, news clippings, follow up holiday cards, and other memorabilia chronicling the trip. 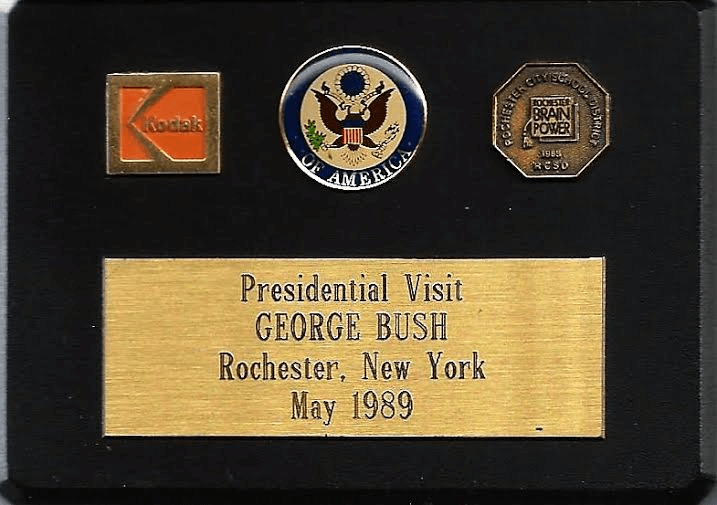 She even has some golf balls Bush sent as a thank you gift after he learned her husband was an avid golfer. When we began planning the visit, the advance team envisioned the President meeting with a small group of leaders and a handful of students. After considerable discussion, the President met with 12 members of the faculty, toured a computer programming class that was in session, and then ended in the gym for an academic pep rally honoring over 500 honor roll students. The President’s first question to me was “Do you by any chance have a stick of gum?” He also gave me sets of autographed golf balls for my husband and father after asking about my own success with golf – I don’t! At the end of the pep rally he said, “I think your students would enjoy seeing you kissed on the cheek, OK?” and he did! President Bush’s final words were, “I won’t forget this visit.” I certainly will not. 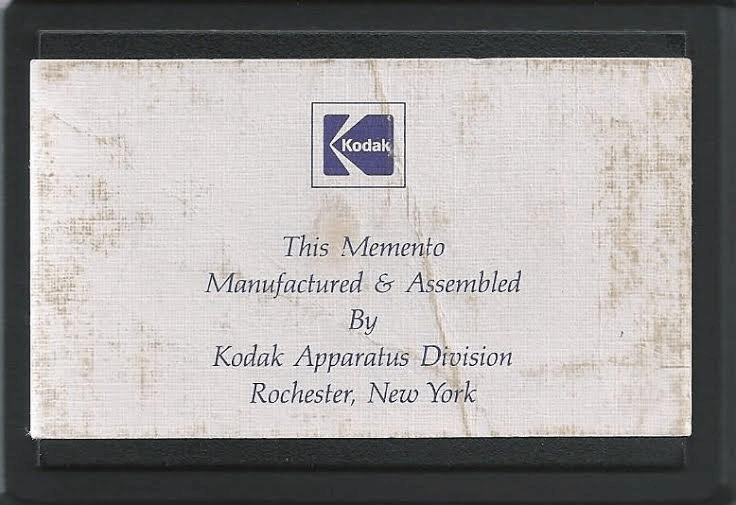 I attended President Bush’s speech at Kodak on May 18, 1989, representing the Monroe County School Boards Association (and served on the Monroe #1 BOCES and Brighton Boards of Education). Bush spoke about the importance of education to business leaders at that meeting. And attendees got some serious paperweights.